I was all set to meet the Schwarz family for a newborn lifestyle session just a couple of weeks after their new baby Declan was born. Unfortunately, Declan spent some time in the hospital with jaundice and the rest of the family picked up RSV. Needless to say, we had to postpone. That is always disappointing for moms, but I have said it before...4-6 weeks is my happy place with new babies. You'll see in the video how Declan really looks thru the camera, like he is seeing beyond it to me. I love that connection. Pensacola Family Photographer Mama Katie is a graphic designer. When she classified her style as modern, but comfortable, I had a feeling we were going to click. When I walked into her IKEA wonderland I knew it was meant to be. (We shared a moment of grief over how far away the nearest IKEA is.) Then I saw the coffee bar in the kitchen and almost asked if I could move in. I also really love how the colors in her home are repeated in every room. It just gave the session such a cohesive feel. Riley and Declan were nothing short of adorable. We played, had coffee, ate lunch, and Katie wore Declan around until he sacked out long enough to grab a few requisite newborn photos. Katie and Steven were so relaxed and fun with the kids. Over all it was such a great session, full of laughter and goofiness. Thanks guys, for not being afraid to be yourselves! You rock! Leave a comment to help Katie and Steven earn a free 8x10 mounted print from their session. They just need 50 people to leave a little love below! 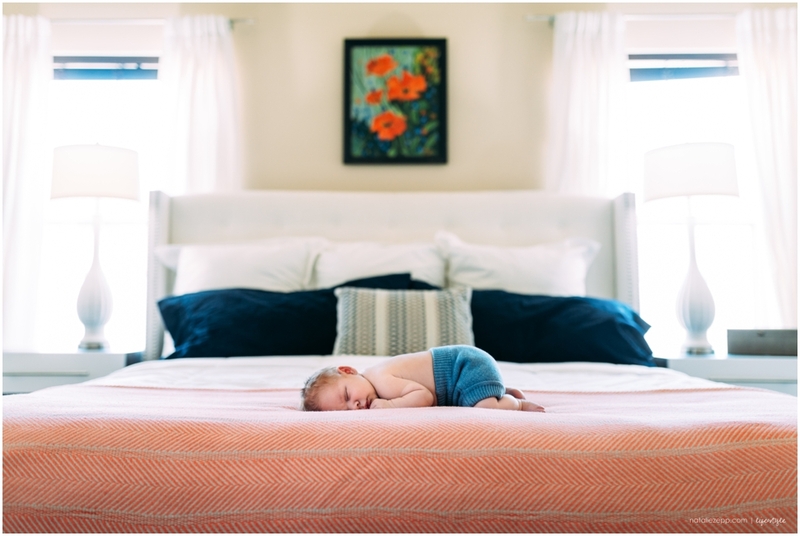 Natalie is a lifestyle photographer serving the Pensacola area and specializing in candid, documentary family sessions and births. Contact her at [email protected] to schedule your own amazing session.